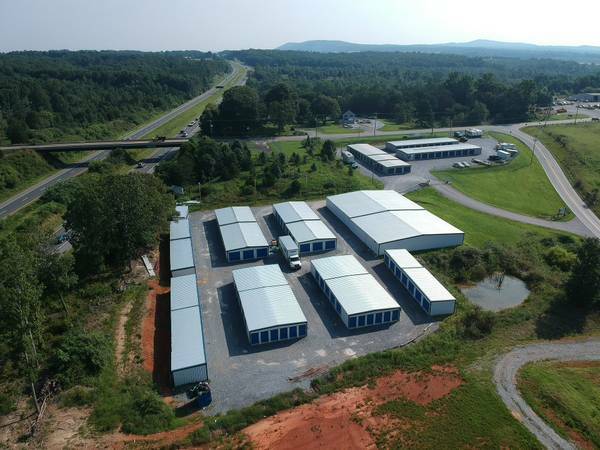 Sunburst Storage is a locally owned self storage facility conveniently located less then one mile from hwy 460 and hwy 29. The facility is gated with key pad entry, fenced and in a safe location and we can proudly say we've had zero break ins since opening in 2013. You have 24 hour access to your storage or parking to accommodate your schedule. We also have wide aisle's to make driving trucks around the buildings no problem. Need packing supplies? We offer FREE delivery of packing supplies and have everything you need at our location! Do you need help with getting your belonging to storage? We can also help with that and offer reasonable rates! Mention this and we will waive the admin fee!